Recently someone frowned upon me for writing novels under my Instagrams. I guess it was meant as a joke, but it made me realise something: I hadn’t written anything for the blog for the whole year because I felt I had nothing to say. But my Instagram recently tells a different story. I have the words in me and I want to yell them out. I guess 10 out of 12 months I managed to bring food to work at least twice a week. I had a lot of fun trying out new recipes, playing with ingredients, varying dishes and making my colleagues super jealous. Some of you joined in and showed their lunchbox with #lunchbox2015 on Instagram and inspired me, thanks! My newcomer of the year is definitely oven roasted swede, it makes a great base for veggie soups, bakes and is the star in winter salads. I found it very useful to keep a tiny bottle of olive oil, balsamic vinegar and lemon juice in my desk drawer as well as a spice mill with mixed spices. That way even an avocado and a roll from the shop around the corner can be turned into a great desktop lunch. However I will try to keep my practise of bringing a lunchbox to work and hope to see many more inspiring pictures on Instagram tagged with #lunchbox2016. I revamped the Donauwave cake, introduced basic vanilla cupcakes and biscuit cake, shared my families red wine cake and filled you in on my secret buttercream recipe. I am surely not done here yet! My highlight of the year was the piece in the local newspaper on me and cupcakes, what inspired me to do a small series on basic cupcakes and how to vary them. 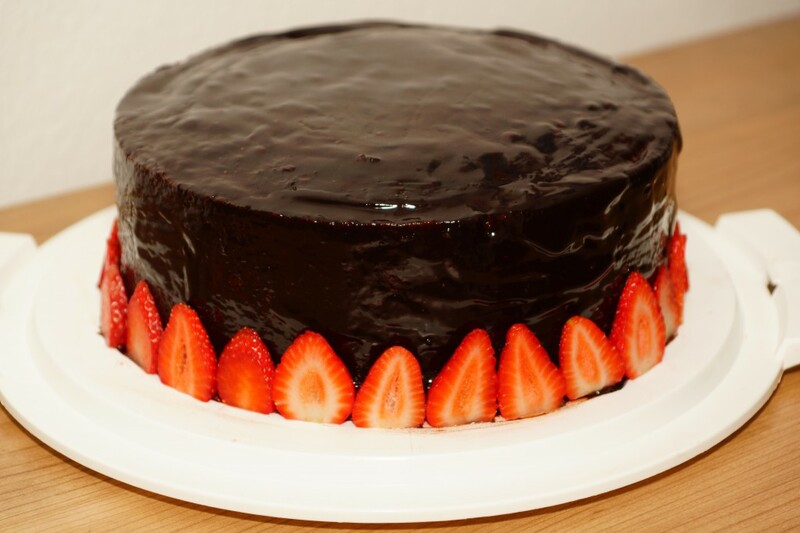 My second 2.5 kg bag of that dark Callebaut chocolate is gone and I have used said chocolate on many occasions, such as my favourite late summer treat, the Strawberry & Dark Chocolate Tarte or in this fantastic Chocolate buttercream. 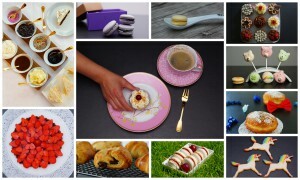 I have also used them for various Macaron fillings that I haven’t shared with you yet, so better stay tuned. I have bought more books and got to know so many cool blogs this year that I will probably never run out of stock with my to-bake-list. Unfortunately I have not introduced a single book or blog. I think it is about time I start a blogroll and a list of my favourite baking books! That is the one thing I’d mark as accomplished for this year. I made good progress with my Patisserie skills, I have perfectioned my Macaron making skills and mastered my first French Pastries. Though Christophe Felder still holds a lot of lessons for me and so is Pierre Hermé, I have finally found my confidence. I have made one Experiment that I am proud of, because it was rather ingenious. I know it is not all about developing your own recipe, sometimes it’s more about taking something amazing and going all crazy with it, like I did with Jeanny’s Kanelbullar (cinnamon roll) recipe and turning them into a carnival fry Kanelkreppel. I haven’t made much progress with my to-bake-list this year and I haven’t experimented half as much as I wanted but I am overall hapy with the outcome. Thinking about it, this is my biggest fail this year. And I won’t apologize because I learned a lot about me and my blog this past year and decided lately to stick to English despite all the haters. Haters gonna hate as Taylor Swift put it and I’m gonna shake it off. Who am I fooling? I hardly managed to post once a month, not speaking of my planned bi-weekly schedule. 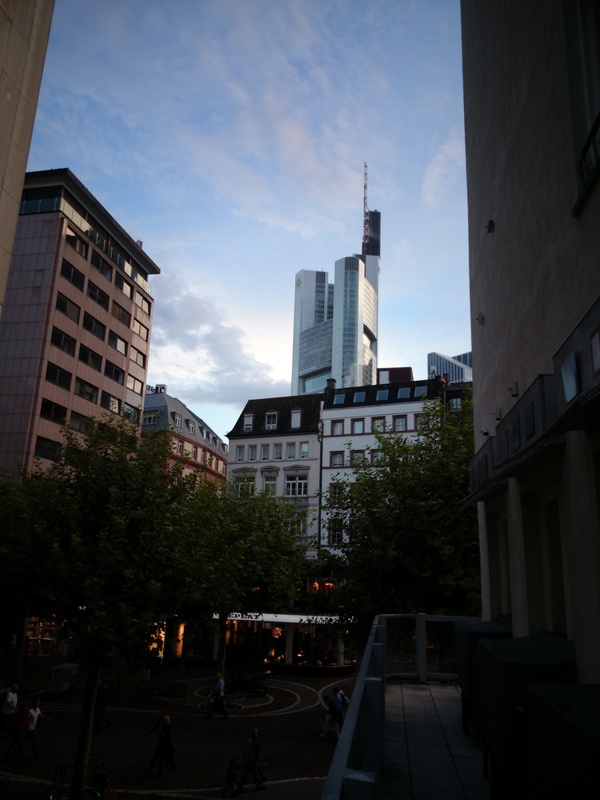 However I plan to post in German every now and then, because I want to get into the groove, see if blogging in German feels good. I want to thank the loyal readers, the constant likers on my social media and everyone who leaves a comment. I started this blog for me, but I am keeping it up for you. Every comment makes my heart jump, seriously, so please let me know what you’re thinking, fill me in on what you miss or tell me I’m doing things completely wrong. I am thankful for everyone interested in my blog and also my life, I want to keep it interesting for you to read and I rely on your feedback, so keep it coming! Happy new year everyone! I know, I know, I should delight you with less talking and more baking. You get a new recipe next time, I promise. After a short break from the blog due to manflu and going back to work I feel posting a review of 2014 is inappropriate. Instead of looking back to a year with a lot of 1st times (moving into your own house evidently produces a lot of those…), I want to give an outlook to 2015 and fill you in on what to expect. I am not a huge fan of nyresolutions, you see all fitness clubs crowded the first 2 or 3 months every year, as well as diet advice and sports equipment are ubiquitous. Yes, I could loose some weight and yes I could be more active, but as far as I am concerned I don’t need a new year to start. I made more of a going-back-to-work-resolution as the quality of our canteen has been going down while prices rise. I decided to bring my own lunch to the office more often, at least once a week instead of eating the same sandwich or overcooked potatoes & broccoli. 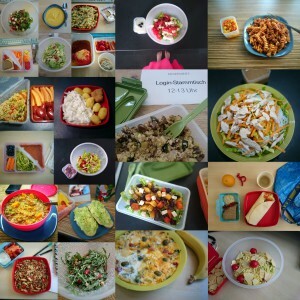 Life is too short for bad food, that is what Julias Blog German Abendbrot states and she also made a resolution to bring leftovers for lunch more often. We all know what statistics say about those resolutions, they never last too long unless you have others on your side to join you. So we spontaneously decided to be partners in crime and make it a competition. 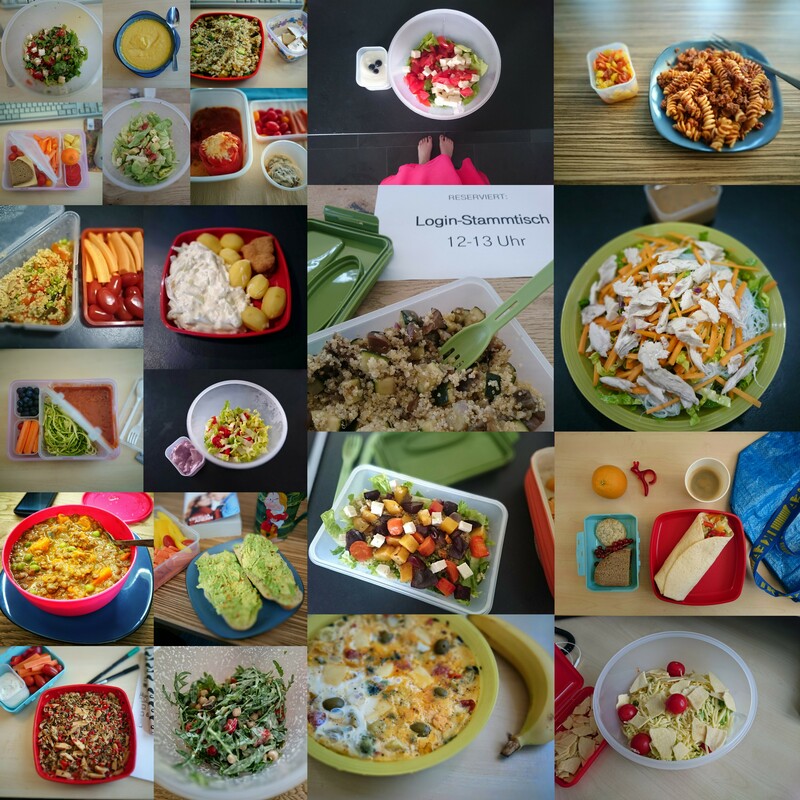 You can follow our attempt to beat the statistics on Instagram with the hashtag #lunchbox2015 . 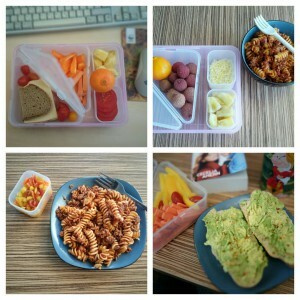 You’re invited to join, simply post picture of your lunchbox and use the hashtag #lunchbox2015. I went through some of my old recipes lately and decided that they needed refurbishment. 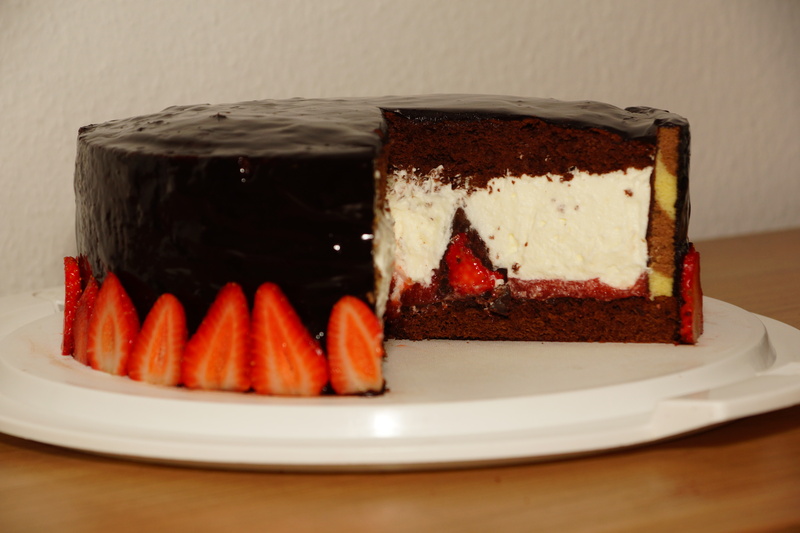 I have been doing some recipes over and over again, improved and optimized, it is time to share my insights with you. I will focus on my families classics and will also post more basic recipes that allow to swap ingredients easily and mix & match. I own a shitload (excuse my French) of baking books and magazines, my shelf is floating over. I tried to quit buying new ones for some time, but it turns out I am not much of a quitter. I’d love to share some thoughts on my favourite baking books with you and show you, what’s on my shelf. Probably recipes from most of the books will make it to my to-bake-list but also giving you insights on the books itself should be a new challenge for me. As you might know I got Christophe Felders Patisserie book for my birthday mid last year and there are still a lot of lessons to learn for me. 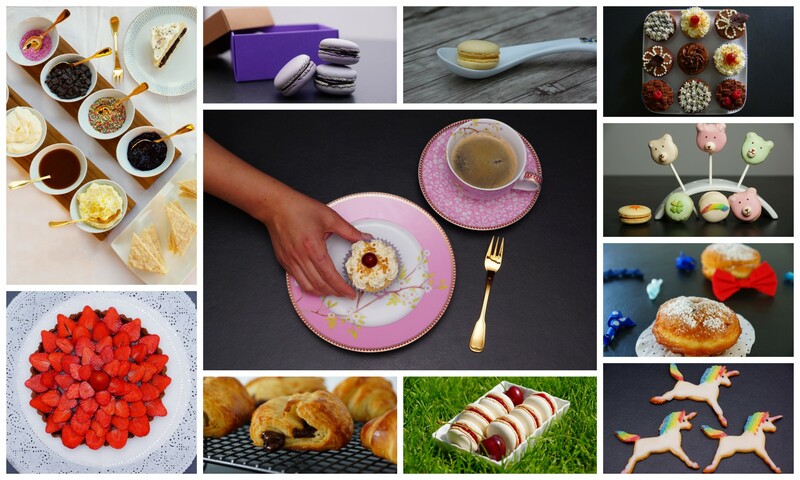 I will continue to be an apprentice to the art of French Patisserie and it’s versatile magic. I am eager to experiment more in 2015, this does not only include to try out new recipes but also to mix new flavours and pair things that I might not have thought of before. I will post more about experiments on the social media channels (Facebook, Twitter, Instagram) so keep checking there for more regular updates. Last but not least my biggest adventure yet to come: Making this blog multilingual. I have struggled with the technical implementation before and gave up as it annoyed me nothing was going my way. This year it is finally going to happen one way or another. Putting all this down, I finally realize how much I have loaded on my plate. But for me it is time to spend less time lazy and more time to be creative. May this year ahead of us 2015 be awesome and splendid! Dublin makes it easy to fall in love with, my heart was lost the second I set foot out of the airport bus: the cobbled streets, the lovely & colourful storefronts and the friendliest people in the world. 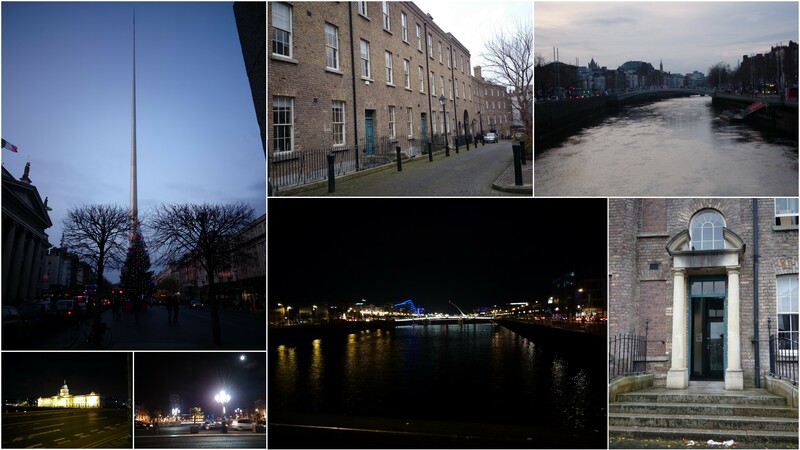 Dublin is a young, hip, colourful and vibrant city with a fantastic energy. Better not miss it! It was 2009, just a few days after St. Patrick’s Day and we were welcomed with bright sunshine and 25°. We stayed in a run down Hotel in Temple Bar, noisy with a dripping tap and only cold water in the shower, but that couldn’t keep us from having a great time. We took a stroll around town, shopped on Grafton Street, had a sandwich on a sunny bench in St Stephens Green, took a trip to the Guinness Storehouse to learn how to pour the perfect pint, we hit the Pubs, always ending up in Palace Bar on Fleet Street, and experienced the Irish hospitality and kindness. It is impossible to chat with complete strangers in a bar at home, not to think of buying them a round of drinks. But this is completely appropriate in Ireland, cause strangers are friends you haven‘t met yet. The Irish really live up to that saying. Though the economy was in a very poor state back then and a lot of people lost their jobs, they never lost their craic and fun. I envy them for their positivity, Germans tend to see the glass rather half empty. After a few days in the city we took a bus outside of town to check out the Wicklow mountains. Beautiful landscape, hundred shades of green that you only find in Ireland and the friendliest people in the world. And that‘s when we decided we need to make this an annual trip! We made it our tradition to fly in for Christmas shopping, something that I am looking forward to the whole year. 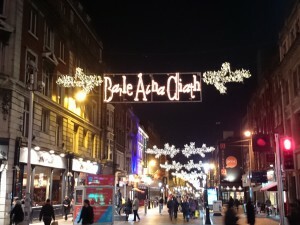 Lately I read that Dublin at Christmas is like stepping into a Christmas card. That describes very well how I feel about the city, especially around Christmas. The festive spirit, the decorations, the shopping windows and the bright lights even in the smallest back street get me into the mood and it‘s beginning to look a lot like Christmas. I love this town for what it was and even more for what it has become. You can see that the Irish economy is picking up again, a lot of new businesses, more shops and shoppers on the high streets and even in the smaller side streets. Some of these side streets were a little scary back in 2009 and I‘d rather not go there alone in the dark. Now, only 5 years later, all those before shady streets are full of shops, cafes, restaurants and people. It makes my heart jump to see the situation improving even more each time I come round to visit. With all those emerging culinary hotspots, I needed new sources of information about what‘s good and what‘s not, because we only have limited time in town. I started following a few Dublin based blogs such as Frenchfoodie in Dublin, The Dublin Diary, Kate‘s Kabin and Lovin‘Dublin to get more insights. It kills me to read about Dublin most time of the year, but the closer our Christmas trip comes, the more I dig myself into these blogs. It is funny to wander a „foreign“ city and to recognize restaurants and tell what food they serve and who recommended it even though I have never seen or been to this place before. I made a Pinterestboard to keep track of all the places I want to visit, the Mister trusts me to pick the good ones and I don‘t like to disappoint him. Even though some of the places are not as good as they used to be or not as good as in my memory, I love checking out new stuff while also sticking to some familiar places. Here‘s a short summary of our trip packed with pictures and memories, enjoy! It is funny how different people around the world celebrate Christmas. I wouldn’t say that the way how we celebrate in our family is a traditional German way, it is just our way. But I recently read a piece on exactly this subject and it was quite similar to what we do every single year. I have 3 siblings and even before my nephew was born, we celebrated the same way every single Christmas, no matter how old we were. The Germans start celebrating on Christmas Eve, that‘s also when we get our presents. And my presents were never brought by Santa Claus, i get mine from the „Christkind“ aka baby Jesus. Once dinner is ready and we all over-ate, we clear the table and do the dishes together, the „kids“ go off to play some games upstairs. I know we are all grown up, but even before my nephew was born we played the same silly old game every Christmas. The first time the Mister spend Christmas with us, he was really terrified by us playing „Schnipp Schnapp“. It is a card game that comes with a lot of noise and yelling when we play on Christmas Eve, because you need to be quick and when that doesn’t help you need to be louder than the others. Sometimes it is even so noisy that we can‘t hear the bell that rings once Elvis (the Christkind) has left the building. All of a sudden, the door to the living room is not locked any more – surprise- and all candles on the tree are burning (yeah, real candles!). You can catch a first glance of your presents, but there are still some more obstacles to tackle before you can start to unpack. My mother makes us sing (and so did my Grandpa) Christmas Carols before the main attraction. Once she finds it to be ok, the first can start to unwrap presents following some simple rules: Only 1 person unwraps 1 gift at a time (usually without destroying the paper, but the Mister taught my Mum that ironing gift wrap is unsexy and unnecessary), starting from the youngest to the oldest. That is the part when my older brother starts complaining about the wait and explains how much better his life was, when he was a single-child. Once my Mum finished unpacking, the official part is over, we have dessert and Christmas cookies. I know it sounds weird because we are all grown up, even before my nephew was born, we ran the same routine every single Christmas. Even none of us believed in the Christmas any more, the room was locked, presents were secretly placed underneath the tree. This is how Christmas in my family always was and always will be. This Christmas is the first Christmas in our new home. Though our open-plan kitchen/dining/living room doesn‘t allow us to lock the door, but the tree is put up on 23rd as every year. My family comes round in the afternoon and we prepare dinner together, before we play a round of Schnipp Schnapp until the Christkind-Bell rings and we can sing Christmas Carols and unwrap our presents. And I wouldn‘t want to have it any other way! I haven’t been writing in the past few weeks but I have been very busy and baked A LOT. It truly feels like baking is my Yoga but sometimes I can even go with cooking… I have been blogging for quite some time, not caring too much about readers, more writing all this for myself, flipping out about the first Facebook-Likes of people I did not invite myself and celebrating the every thumbs-up for one of my postings or pictures. Don’t get me wrong, I am still celebrating all this, still hoping for more comments and interaction, because after all this is my hobby and I feel honoured when others appreciate what I am doing. I don’t know if you knew that today is the World Baking Day. I only found out some days ago and decided to go for Level 99, because I love chocolate and strawberries. The recipe sounded tricky but doable so I decided I’d give it a try. It took me all day but finally the result was totally worth it. It looks as yum as it tastes! 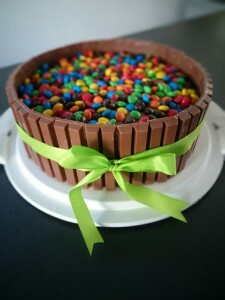 I wonder if I find a place where I can order this cake for the wedding. Two waiters came up to our table, one carrying a very hot, sizzling pan and the other one with a small mug. Then they placed the pan in the middle of the table and poured the content of the mug over the Brownie that was topped with a scoop of ice cream. But see yourself what this looks like. When hot chocolate sauce combines with a fudgy brownie and vanilla ice cream – that is a dream come true. When we returned from our vacation and went for dinner at our favourite Mexican place the waitress served Fajitas in one of those hot pans at the table next to us. And then this idea came to my mind… When the owner came up to our table and asked us about our holiday, I had to tell him about the brownie experience. And so I suggested he could adopt the recipe with a Mexican twist: Chocolate-Chili-Brownies and Tequila-Chocolate Sauce. He got hooked with the idea instantly. We agreed to give it a try after the Easter holidays. I had troubles with making brownies before, they were never fudgy enough, they were either too moist or too dry, something was always wrong with them… And that is why I couldn’t wait and I tried to invent a chocolate-chili brownie. How do you get flavour into brownies? There are two possibilities: Add the flavour directly to the dough or cook the flavour out. I decided to do the latter, as I learned in the Patisserie course. So I was looking for a recipe that includes milk or cream. I found one and tried to adjust it to my needs. I was told that in order to bring flavour into a mass, use the best ingredients and cook the flavour in. So I bought very nice habanero chilies, dark chocolate and the best cocoa powder. The first attempt to flavour the cream was with a quarter of a red habanero chili, but that was not enough. I retried with a full habanero and passed the mixture through a sieve to squeeze out all the flavour and no parts in my brownies. I tasted the batter before I baked the brownie and it had a subtle hot chili taste *cough*. Well the batter was pretty hot but after it was baked, the chili got subtle. I am still not sure if I can taste the chili because I know it is there or not, but I will find out tomorrow after my colleagues did some blind-tasting. I am dropping off a piece of cake at the Mexican place tomorrow, let’s see what that might bring.